The word dermatome refers to a correspondence between the skin and the nervous system. 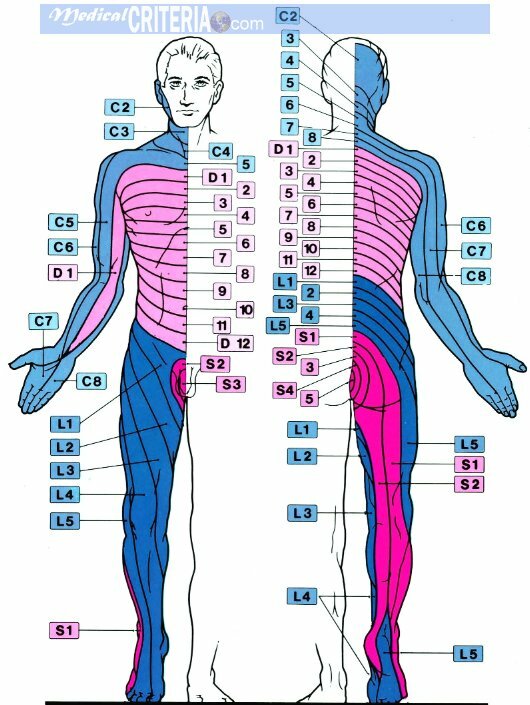 Sensory dermatome maps used to help localize the level of neurologic deficit. This entry was posted in Neurology and tagged dermatomas, Dermatome, mapa, Maps, neurology, sensitivos, Sensory by Guillermo Firman. Bookmark the permalink.